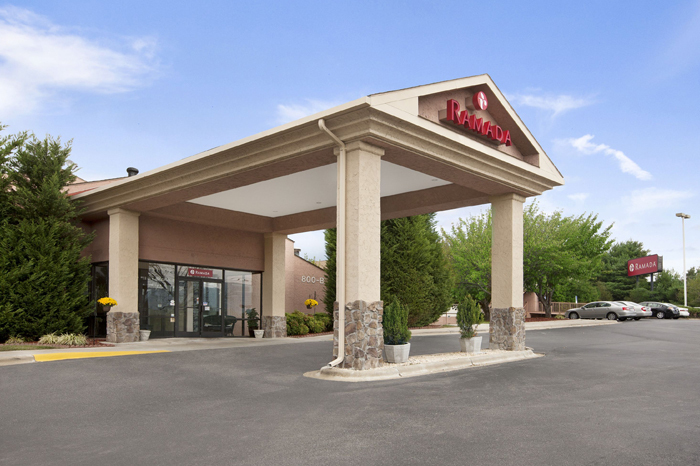 Welcome to the Asheville Ramada Southeast at River Ridge, your smart choice of Ashville NC hotels with shuttle service and more. 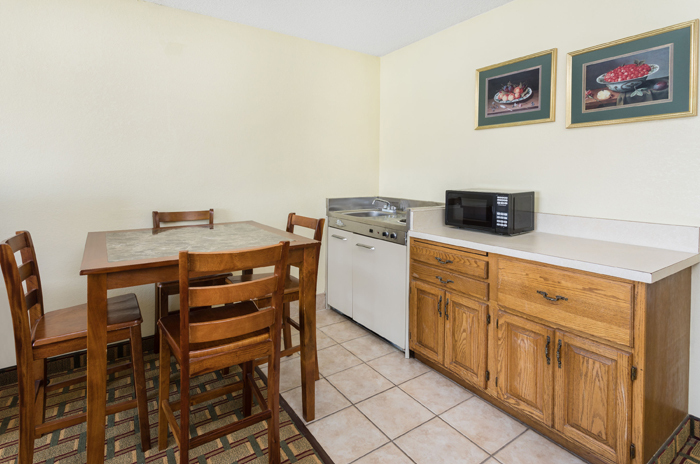 We offer on-site activities for the whole family and an excellent location that’s close to the Asheville Civic Center. We’re also less than a mile from Blue Ridge Parkway and 3 miles from Biltmore Estates, making us a hotel in Asheville NC that’s right where you want to be to experience the best of the area. 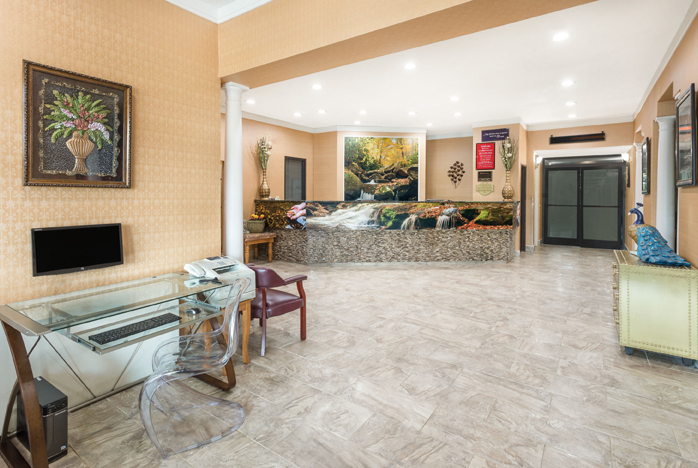 Our Asheville hotel is an attraction in its own right with a beautiful 7-acres campus, mountain views and onsite recreational activities. 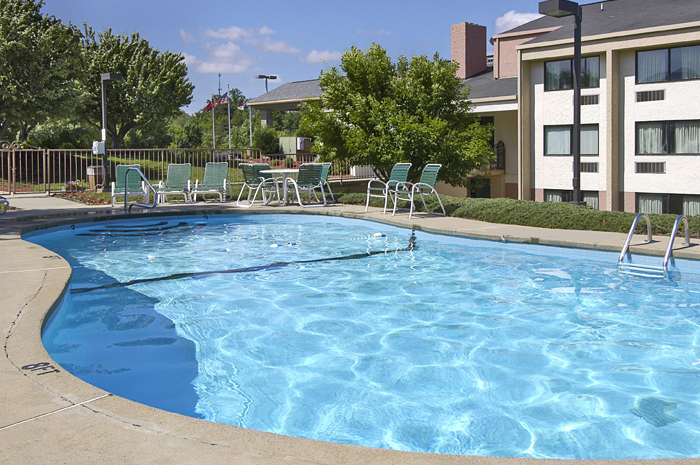 Try out our seasonal outdoor pool, enjoy the free breakfast, free wifi and guest laundry too. 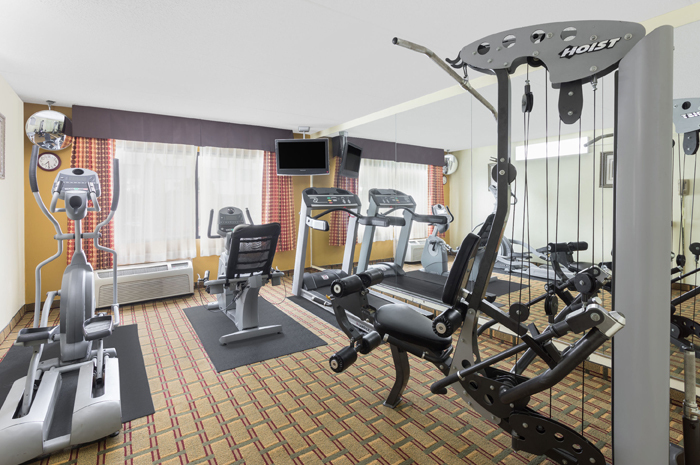 In-room amenities include 32-inch flat-screen televisions and refrigerators. Balcony suites with views are available. Plus, we’re a non-smoking, pet-friendly hotel. Additional points of interest nearby include Biltmore Winery, Western North Carolina Nature Center and Chimney Rock State Park – all places worth the time of any business or pleasure traveler in the area. We’re a luxurious property with a world of comfort just waiting for you, and we look forward to having you as our guest. 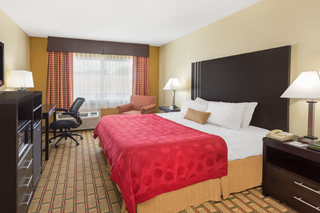 Why not book with us now and see for yourself how everything’s better in Asheville when you spend your nights at Ramada Asheville at River Ridge? 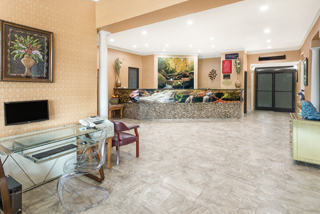 Minutes from Downtown Asheville and charming historic sites like the Biltmore Estate, the Asheville Ramada Southeast is your Asheville hotel of choice. 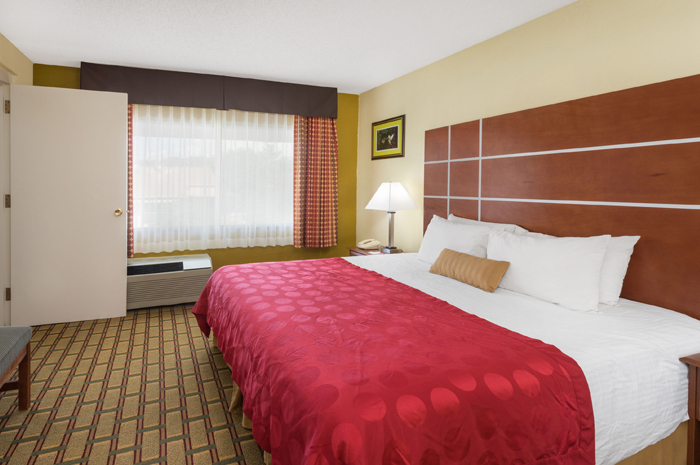 We strive to give our guests an affordable, value-oriented experience whether you’re here for business, staying with family or simply passing through for a night. We also are registered to accept contracts with government workers. 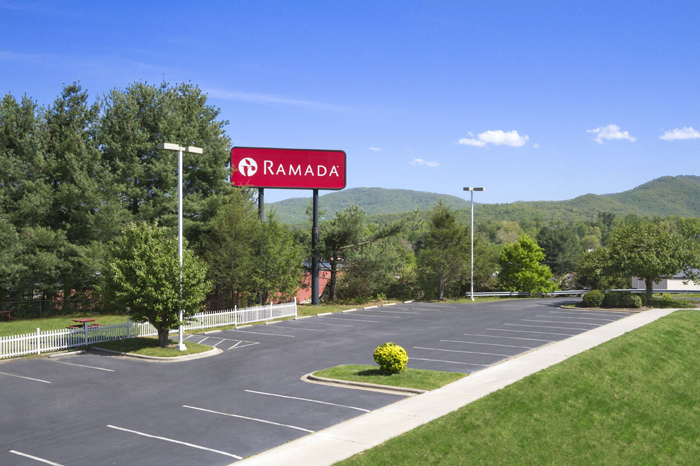 Situated on seven beautiful acres of land with an observation deck overlooking the Blue Ridge Mountain, we’re not your average Ramada hotel. 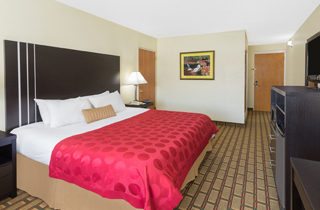 Our luxurious choice of Asheville, North Carolina hotels is the right choice for business travelers coming to the state. 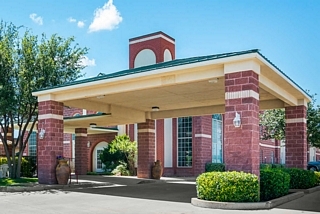 That's because we offer great rates and excellent amenities including a carefully landscaped, beautiful 7-acre property. 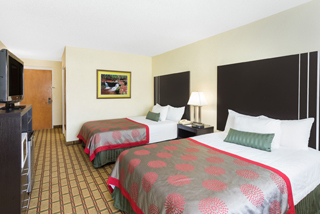 And all our rooms put you close to the best attractions and points of interest in the area too. 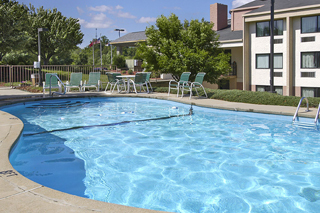 Make us your first choice when looking for hotels near Asheville Civic Center, Biltmore Estates and more. No matter your need, we're a smart choice for smart business travelers. 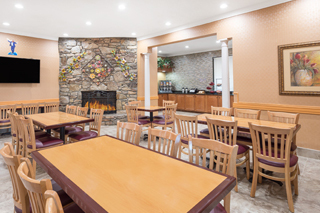 Book with us at this choice of Asheville, North Carolina hotels now so you can experience for yourself the difference when you choose our quality accommodations. Asheville is a family-friendly tourist destinations, and we’re a great place to stay when coming to the area for family travel. 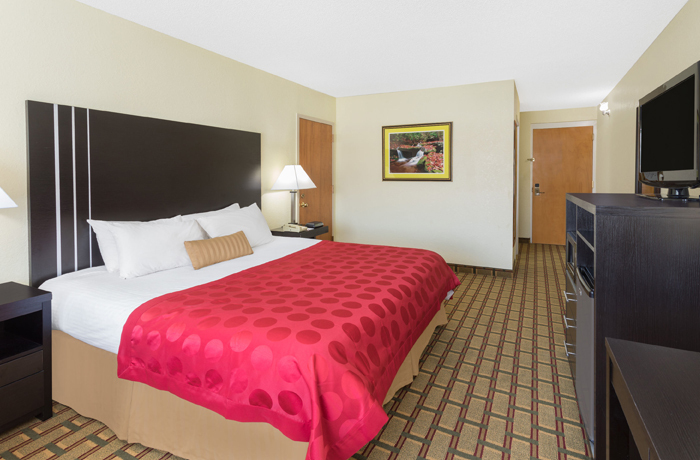 Our selection of downtown Asheville hotels and more is an excellent vacation destination if you're looking for hotels near Biltmore Estates and the many local attractions – or the civic center and its events. 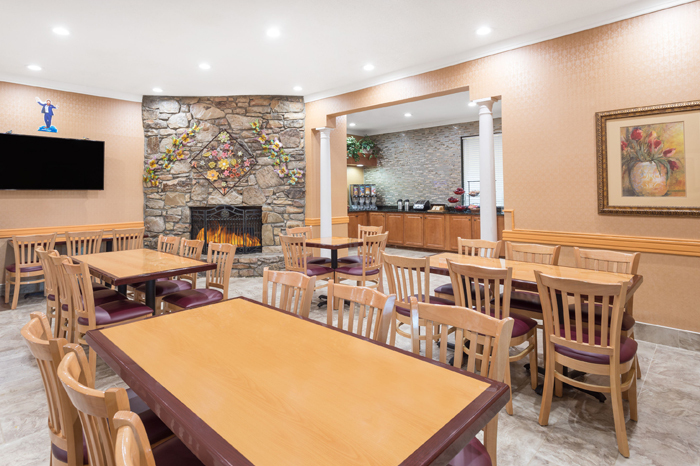 Our family-friendly hotel has budget-friendly amenities like free wifi and an excellent free breakfast that helps increase the affordability of your North Carolina trip. Why not book with us now to make sure you get a room for your desired dates? You don't want to stay somewhere else and be disappointed. 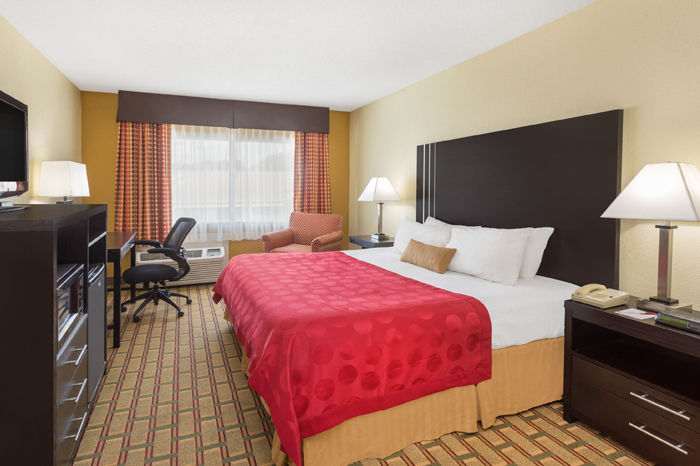 We’re here for you at this well-regarded Ramada. Sure we’re luxurious, but we’re more affordable than you might think at this choice of Biltmore Asheville hotels. You may have the impression that all hotels around here are expensive, but your stay in the area doesn't need to be expensive. It's hard to imagine any hotels this area has to offer that can exceed the experience for our competitive rates. Make it a point to stay with us for a stay that meets all needs and exceeds your expectations in every way possible. 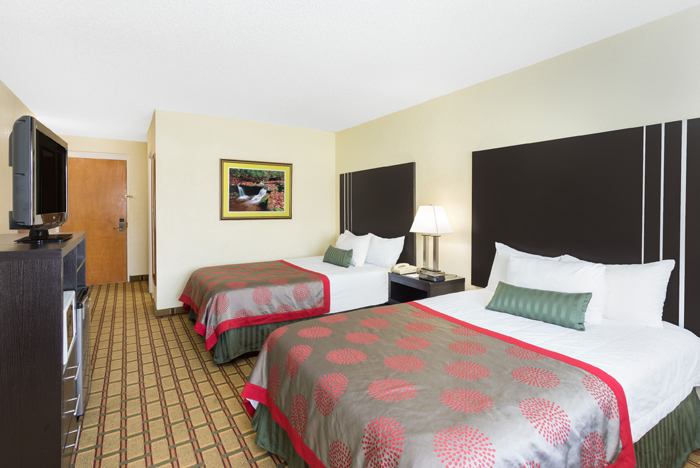 We look forward to serving you and look forward to having you at our hotel in Asheville NC where you’ll be luxuriously comfortable. May we serve you? 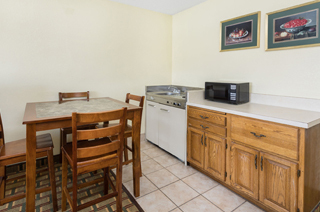 This is a safe and fun area around our Hotel near Blue Ridge Mountain NC because we have a secluded 7-acre property where we want to provide you with a peaceful place to stay while in the area. 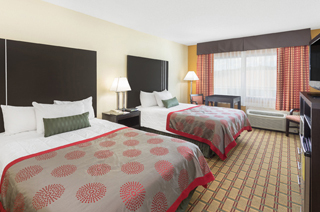 Depend on us as the best of the hotels in Asheville NC to have security protocols in place and work to maintain a peaceful environment in every way possible. Please put aside consideration of other hotels. 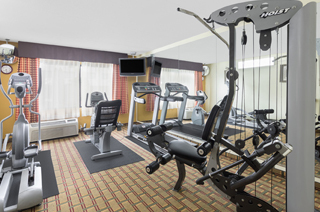 Our hotel is near so many attractions is founded on serving you well, and that's exactly what we'll do when you make us your first choice in North Carolina. May we serve you? We’re here for you. See the autumn color or spring in full bloom along the Blue Ridge Parkway, close at hand when you stay with us. Biltmore Estate is a historic mansion with garden tours and more – and we’re very close indeed at this Ramada. Pisgah National Forest is vast and amazing, and staying with us puts you close to all this beauty and amazement. Visit the local shops and restaurants and spend some money there. They will appreciate you supporting the Asheville economy. 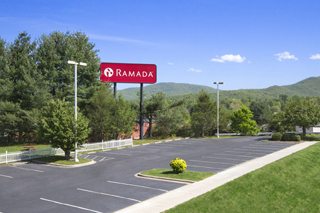 This website is owned and maintained by Asheville Ramada Southeast, a licensed user of certain proprietary trademarks and service marks of Ramada Worldwide Inc.